In a decision released last week, the U.S. Supreme Court has limited one potential source of unexpected litigation for companies that do business in California. 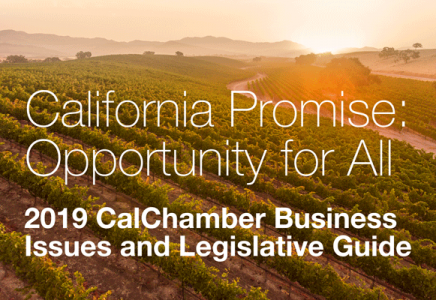 The California Chamber of Commerce joined the U.S. Chamber of Commerce, American Tort Reform Association and Civil Justice Association of California earlier this year in asking the U.S. high court to make such a ruling. The U.S Supreme Court’s June 19 decision in Bristol-Myers Squibb Company v. Superior Court of California (Case No. 16-466) reverses a California Supreme Court decision that would have expanded the situations in which non-California residents may file lawsuits here, rejecting the “sliding scale approach” to specific jurisdiction. In its 8-1 opinion, the U.S. Supreme Court cited past decisions in stating that the due process clause of the 14th Amendment limits the power of a state court to decide a case that pulls together claims of plaintiffs from other state jurisdictions. Bristol-Myers Squibb (BMS) manufactures Plavix, a prescription drug used to inhibit blood clotting. In the case, 86 California residents and 592 residents from 33 other states sued BMS and McKesson Corporation, a pharmaceutical distributor headquartered in California, for injuries allegedly arising from the plaintiffs’ use of Plavix, including products liability, negligent misrepresentation and misleading advertising claims. The California Supreme Court concluded the state did not have general jurisdiction over the case. A court with general jurisdiction may hear any claim against a defendant, even if all incidents underlying the claim occurred in a different state. But the state high court said California courts may exercise “specific jurisdiction” over the non-California resident plaintiffs’ claims in the case because those claims arose from conduct similar to that giving rise to the California plaintiffs’ claims—the nationwide marketing and distribution of Plavix. Applying the “sliding scale” approach to specific jurisdiction, the California Supreme Court majority noted that the more wide-ranging a defendant’s contacts with a state, the more readily a court presumes a connection between the claims and the state contacts. BMS’ extensive contacts with California included more than $900 million from Plavix sales in California, the relationship with a California distributor, maintenance of research and development facilities, and hundreds of California employees. The friend-of-the-court brief filed by the CalChamber and others detailed the harm resulting from the sliding scale approach, pointing out that it is unfair to litigants because a potential defendant would be unable to predict where litigation might be filed. The brief also noted that the claims by the non-California plaintiffs did not arise from BMS contacts with California, as the drug was neither manufactured nor purchased here. Moreover, the research facilities in California had nothing to do with the development of Plavix.